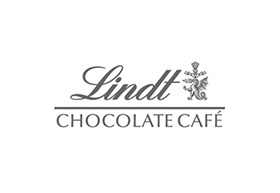 Australia launched the Lindt Chocolate Cafe as the first of its kind in the world, offering a unique, exciting Lindt experience. As well as relaxing & enjoying our delicious cafe menu selection, chocolate lovers can indulge in a sumptuous collection of Lindt creations by our very own Maitre Chocolatiers from the world’s finest chocolate. Our cafe collection showcases the versatility of the fine quality chocolate when placed in the hands of our Master Chocolatiers.